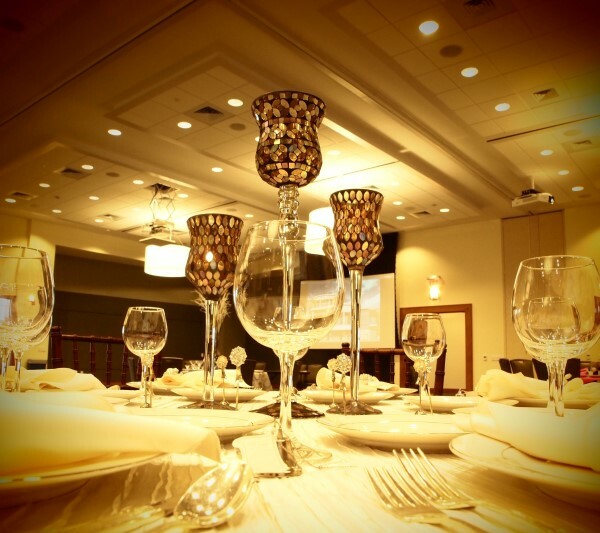 Thank you so very much for considering the Gastonia Conference Center as the location for your most memorable occasion. Our professional wedding team will ensure that your every dream becomes reality! Whether grand or intimate, your wedding day has to be perfect - the setting, the food, the atmosphere. By choosing the natural beauty of the Gastonia Conference Center, you'll inherently establish an environment that embraces your guests with a welcome unrivaled by any other location. Our Event Planning staff meticulously attends to every other detail on your behalf which means you can relax in confidence and join your guests in savoring the perfection of it all. Our all –inclusive reception menus have been designed to offer you a choice of a formal plated dinner or specialty display stations; each menu includes a one-hour cocktail reception and champagne toast. Should you request a custom menu, our Chef will delight in creating a menu just for you! Please do not hesitate to contact us with your questions and to schedule a site visit .We are all looking forward to become a part of your very special day.